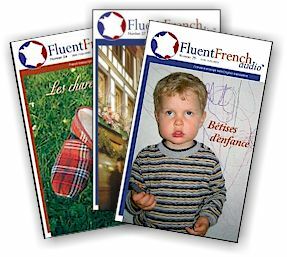 6 issues of Fluent French Audio on MP3. Instant download. Issues 24 through 29 of Fluent French Audio on MP3. You will get a download link after paying. Commit to fluency! Save 26% when you buy 6 issues! 75-minutes of the same recordings slowed down by 25%. 1-hour "listen and repeat" pronunciation recording. Please note that you will receive the booklets within 3 weeks. Money back guarantee on all orders. SHIPPING IS FREE TO ALL COUNTRIES.